Welcome to the finale of inMotion Gaming’s Kingdom Hearts Re: Cap series! In this last article, we will look at the story of the recently released Kingdom Hearts 3D, and speculate a bit as to what the long-awaited Kingdom Hearts III will hold. In case you missed last week’s Re: Cap, you can find it here. Following the elimination of Ansem and Xemnas at the hands of Sora and Riku, Xehanort has revived. This is because when a person’s Heartless and Nobody are eradicated, their original being is resurrected. In light of this troubling news, Yen Sid puts Sora and Riku through their very own Mark of Mastery exams to make them Keyblade Masters and prepare them for Xehanort’s coming onslaught. For the trial, they are separated and sent to worlds previously destroyed by Heartless that have been restored, though now asleep and disconnected from other worlds. Their ultimate goal is to reawaken the sleeping worlds by unlocking the seven Sleeping Keyholes they contain, and return from the realm of sleep. During the exam, the two both come across the resurrected Ansem, Seeker of Darkness and Xemnas, as well as a young Master Xehanort from an alternate past. 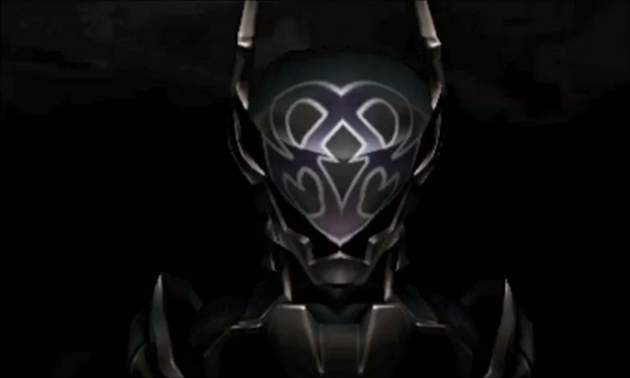 The three reveal to Sora what Organization XIII’s true purpose was– to serve as vessels for Master Xehanort to place pieces of his heart inside, turning them into his clones. Near the end, Young Xehanort forces Sora into a comatose state and his heart is engulfed in darkness. However, it’s protected by Ventus’ suit of Keyblade armor, which is still residing within his heart. 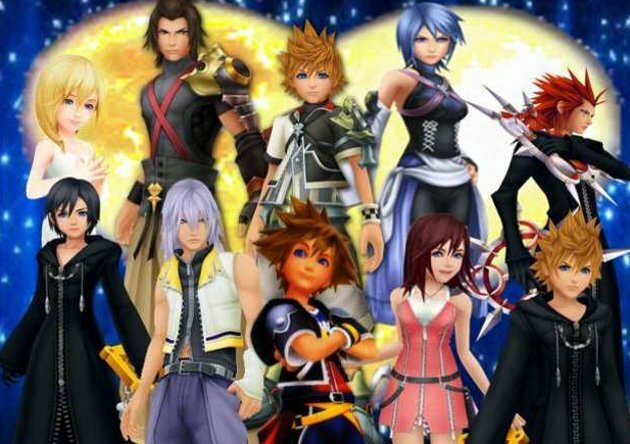 Riku tries to save Sora, but is confronted by a new Organization, comprised of the newly revived Master Xehanort and his eleven vessels, whom Xehanort is plotting to have battle seven Keyblade wielders and once again forge the X-blade (through the penultimate clash of equal strengths of darkness and light). Master Xehanort tries to turn Sora into his last needed vessel, but Sora is rescued by Riku and several other friends including Lea–the revived human form of Axel–after which Xehanort and his Organization retreat. At Yen Sid’s tower, Riku enters Sora’s body and releases his heart from Ventus’ armor in a fierce struggle. 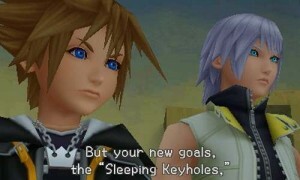 When Sora wakes up, only Riku is made a Keyblade Master, as Sora ultimately gave in to the darkness in his heart. Lea is revealed to be a Keyblade wielder, much to everyone’s surprise. Sora then begins a new journey to train by himself. Ven is shown still in Castle Oblivion’s Chamber of Waking, but smiling a bit. The secret ending reveals that Yen Sid is preparing to gather seven Keyblade wielders to battle Xehanort’s thirteen vessels of darkness. He has Riku bring Kairi to his tower to begin her training with the Keyblade she was given in the climax of Kingdom Hearts II. So there you have it. The story of Kingdom Hearts recapped. Admittedly, it’s a lot to take in, but it’s worth it to prepare for Kingdom Hearts III. While I’m on the subject of Kingdom Hearts III, I would like to take a moment to speculate the events that could transpire in our long-awaited sequel. Here are 6 things I predict. Terra, Ventus, and Aqua are trapped, and it’s up to Sora to save them. This will probably be the bulk of the game; saving them one at a time. Riku passed his Mark of Mastery exam, but Sora didn’t. So either saving Terra, Ventus, and Aqua will earn him the mark, or he’ll have to find another way before he’s fit to take on Xehanort. Xehanort is back, and he’s got a squad of versions of himself from different time periods. This will undoubtedly mean they will be messing with our hero’s head, as is tradition of Kingdom Hearts villains, and also that there’s going to be an epic battle in the climax of the game, similar to that of Birth By Sleep. We know where Aqua and Ventus are, but what about Terra? He was trapped in his body with Xehanort. 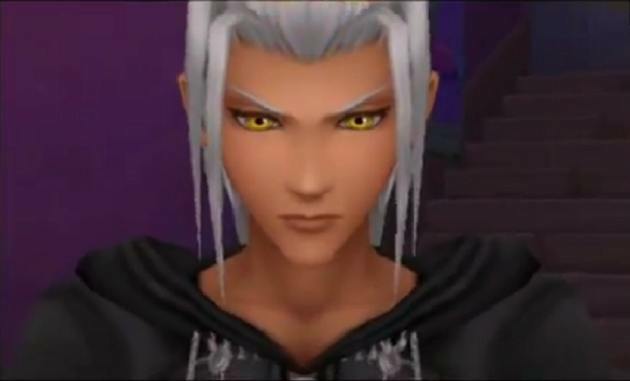 Now that Xehanort is back in his old form, what happened to Terra and his body? I suspect he’ll be the last of the three you rescue, with Aqua and Ventus helping you locate him. The battle system has taken many different forms throughout the games. However, Dream Drop Distance looks to have the coolest one. For III, we can probably assume that there will be an awesome system, possibly combining the more popular ones. Or maybe they’ll just come up with something completely new. Thank you for joining us throughout this series! Keep it here at inMotion Gaming for all your Kingdom Hearts III news!